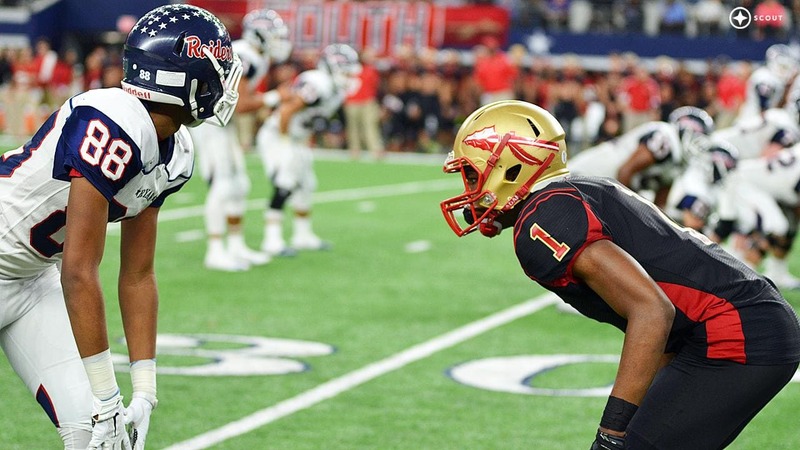 Jeffrey Okudah lines up against Denton Ryan Wide Receiver Chritauskie Dove. 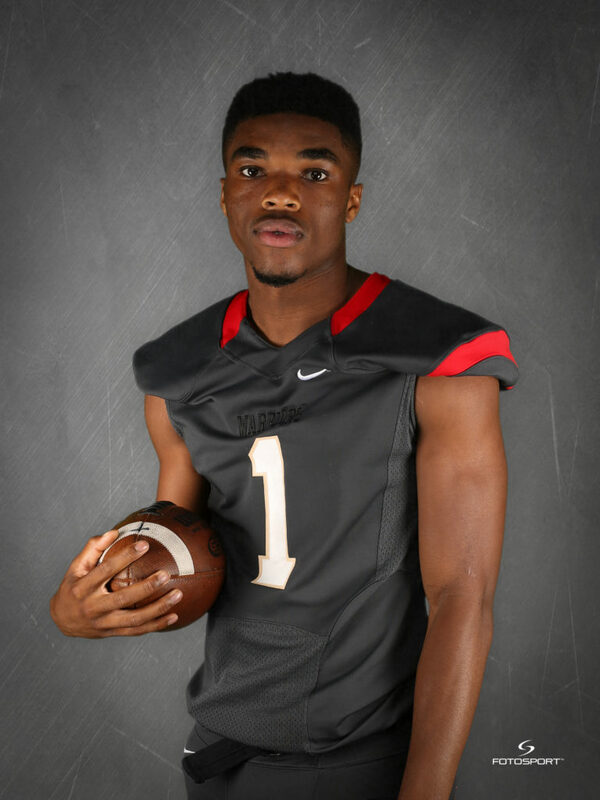 GRAND PRAIRIE—With Arlington Martin breathing down South Grand Prairie’s collective necks during week 3, Jeffrey Okudah gave the Warriors breathing room. In what amounted to a game of chicken – who flinches first? – Okudah flipped it to his team with a first quarter, 103-yard kickoff return, leading to a 39-25 victory in Arlington. What made that scintillating return so special actually occurred on the previous series. In its eleventh consecutive year, Ford Motor Company’s Player of the Week program is again honoring six outstanding student-athletes each week of the 2016 regular season, recognizing one player in each of the state’s six athletic classifications. Winners are chosen for athletic achievements, outstanding scholarship as well as community involvement. These players are the embodiment of Ford’s Go Further commitment. But Okudah was hardly done. He carried nine times for 77 yards, including a 71-yard TD gallop late in the third, and four tackles on defense. He also was a key disruptive force as a gunner on special teams. The Warriors get to enjoy their victory for an extra week before returning to action at Irving McArthur on September 23 to start District 7-6A play. The 6-2, 190-pound Okudah is no stranger to the nation’s talent evaluators. According to 247 Sports, he’s the nation’s top-ranked corner and the No. 2 overall recruit from Texas. No wonder Ohio State, Clemson, Florida State and Oklahoma are already on his case. A solid 3.25 student, he runs track, reads to elementary youngsters and is a member of FCA. Just this week he was one of two North Texas athletes selected for the 2017 U.S. Army All-American Bowl in San Antonio. The other only player from the area is DeSoto stand out quarterback Shawn Robinson.